Inside the Studio: Chronicle 27: 5 "Sustainable Design Solutions"
Chronicle 27: 5 "Sustainable Design Solutions"
In this post we are presenting a Sustainable-Design Case Study. 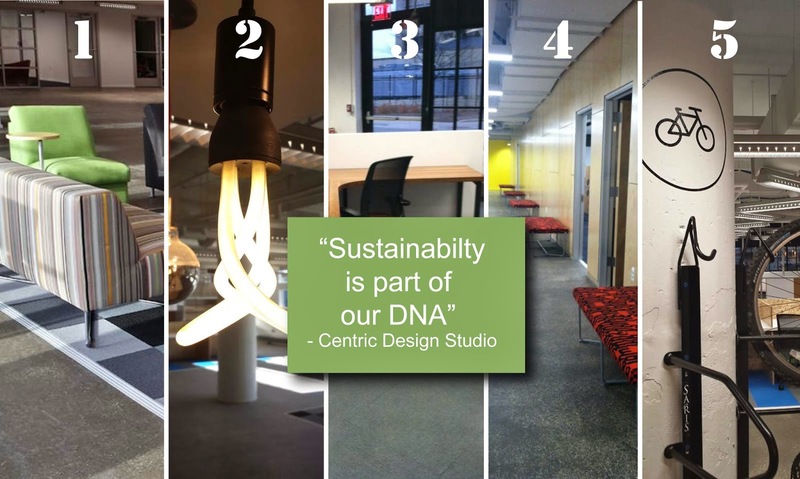 Centric Design Studio (CDS) begins each sustainability design journey often advising our clients to go after the “low hanging fruit” for energy efficiency and sustainable design solutions. They are easy to explain, readily achieved, and, often reward you with a high ROI. 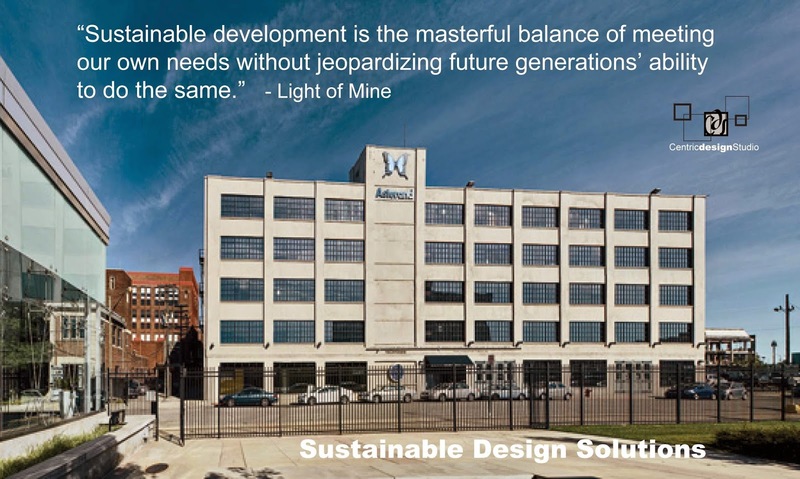 5 simple steps in sustainable design in an urban context. 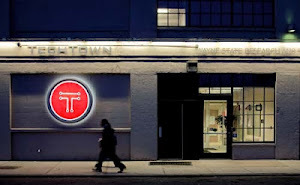 The open floor plan at TechTown's Junction 440, designed by Centric Design Studio and engineered by Ghafari Associates, was specifically created in collaboration with Patrick Thompson Design to use fewer construction materials than traditional private office design. (the original floor plan layout was very traditional in plan) The design not only reduces resource use, but also allows for increased collaboration in an aesthetically pleasing atmosphere. Now, windows border the entire space, allowing natural light to penetrate deep into the office, reducing the need for unnecessary energy use. (BIM Daylighting studies were completed by the design team) We reused the sound insulation material for the new conference rooms and event center. Existing lighting fixtures were reused in new "X" configuration for surprising design element.